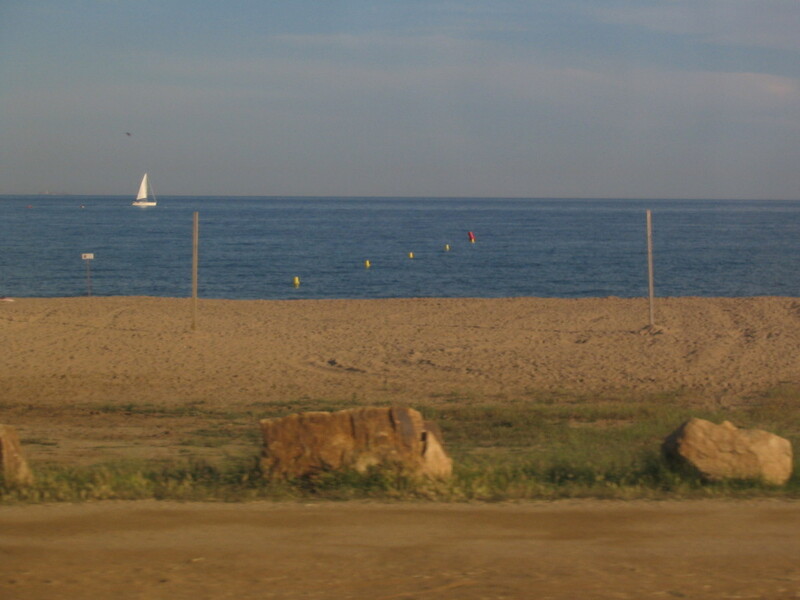 From Malgrat de Mar, the railroad ran right at the edge of the beach almost all the rest of the way, considerably ramping up the anticipation for arrival in Barcelona. 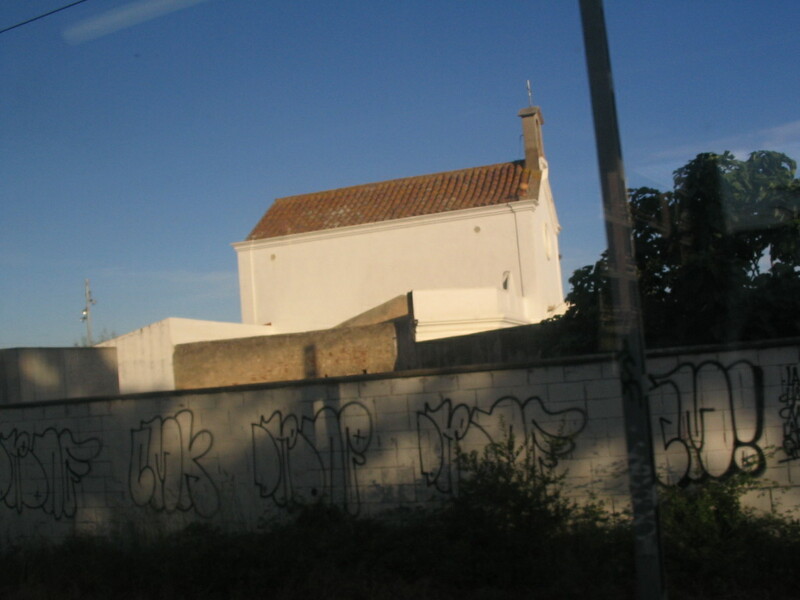 An austere little church in the last open sunlight. Not a minute of sunbathing time wasted. 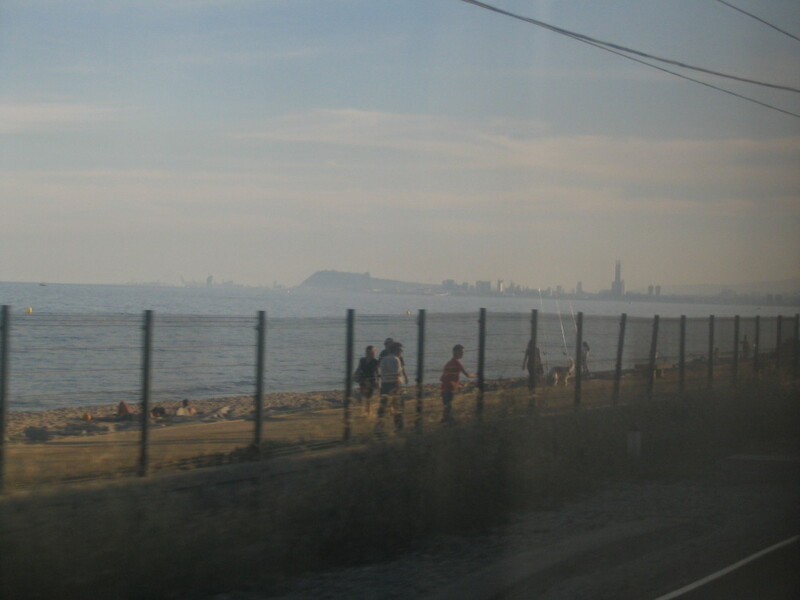 Suddenly, there it was, an apparition of Barcelona itself, with the unmistakable profile of the large hill Montjuïc confirming it. 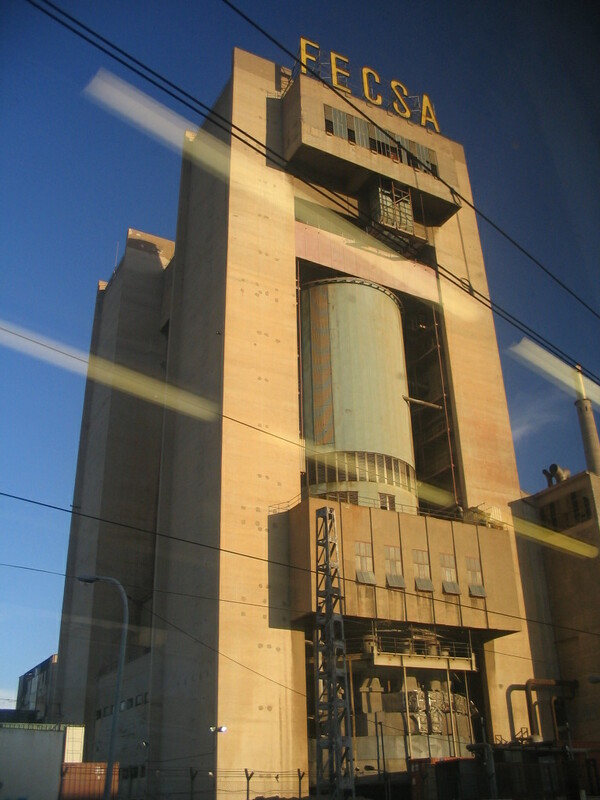 At Sant Adrià de Besòs, within the metropolis of Barcelona, is this highly distinctive power station. 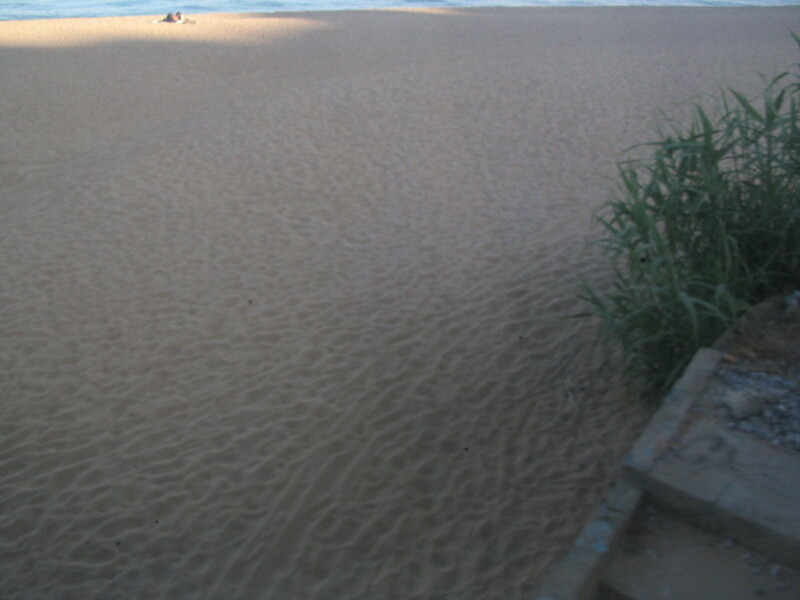 FECSA is a regional utility company. 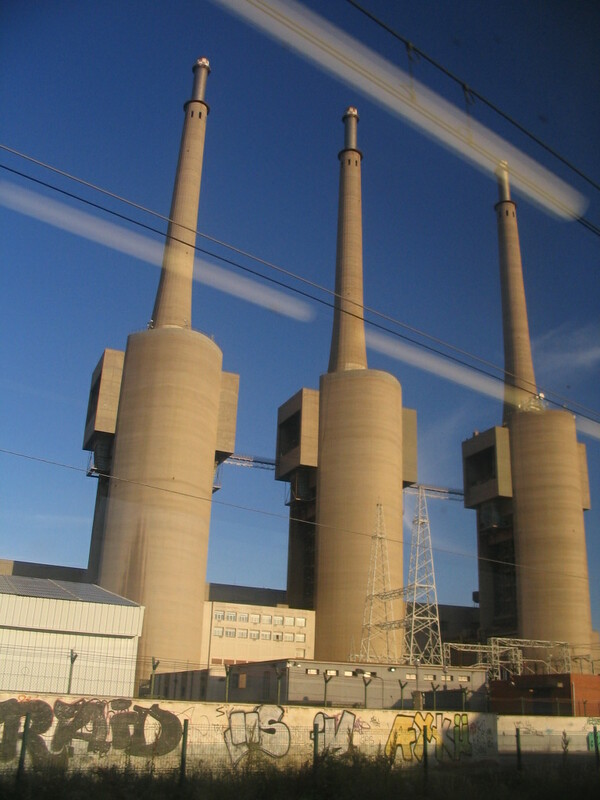 Just as distinctive are the station's smokestacks adjacent. The urban fabric nearby is... less distinctive. 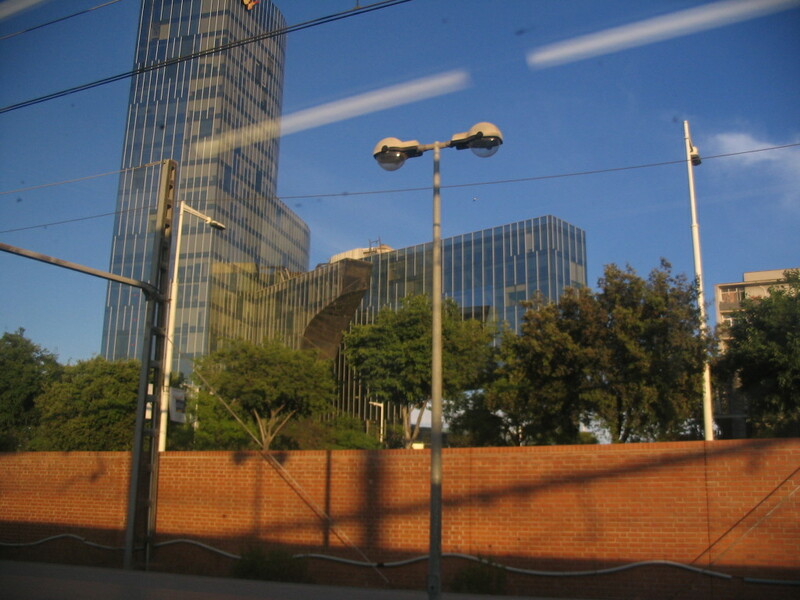 Closer in to the heart of Barcelona is the unexpectedly-shaped Torre Mare Nostrum, the headquarters of the Gas Natural utility. 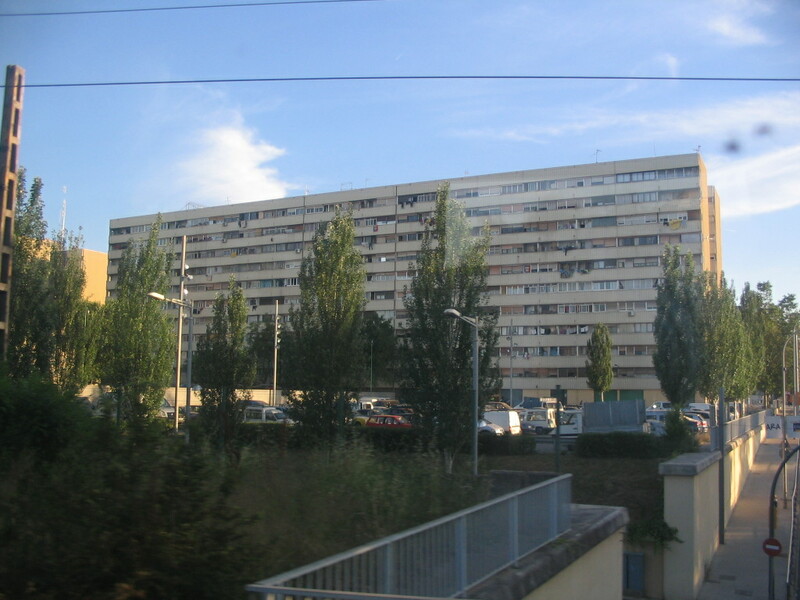 It was designed by Enric Miralles, the Catalan architect. As will become clear, Miralles would turn out to be the spirit architect of our Barcelona program, just as Aalto was for the Helsinki semester. 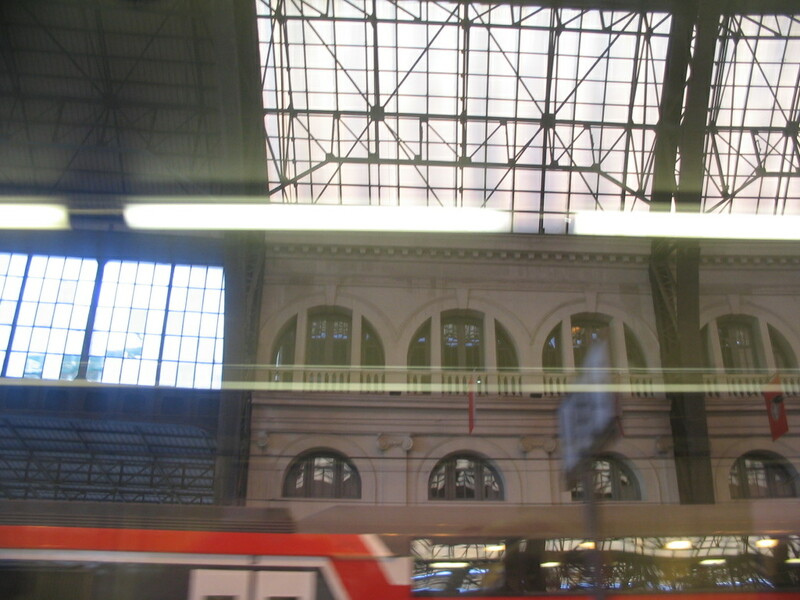 And then, just like that, we arrived in the Estació de França at the eastern edge of the old city of Barcelona.